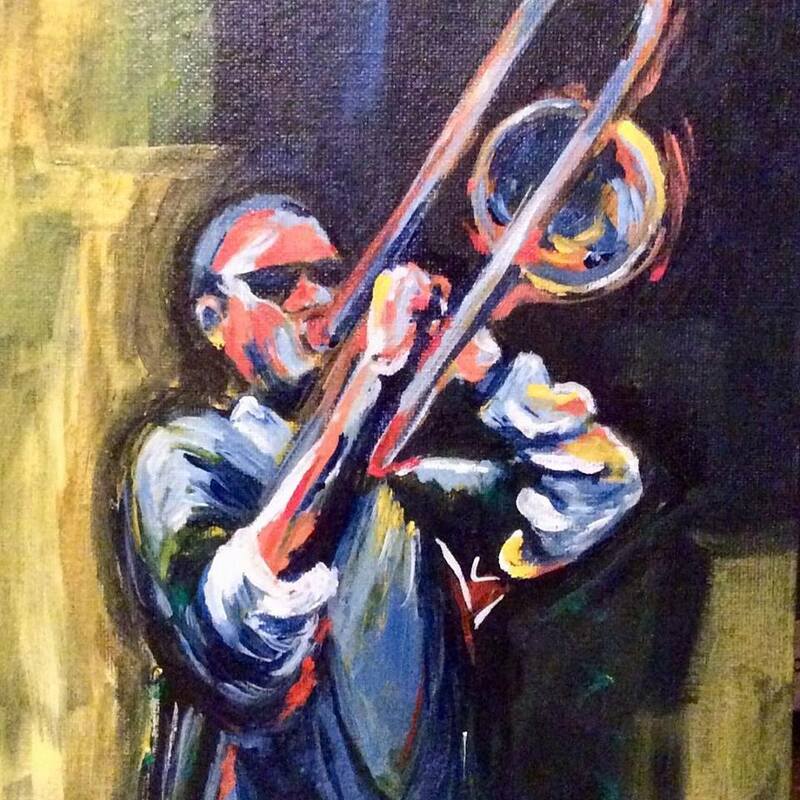 TROMBONE. Acrylic on canvas board. 8x10in. SOLD.